We're all part of the Freak Show! Made from Bubblegum Pink Sparkle and Bubblegum Pink/Black Stripe Holographic vinyl it is sure to get noticed! This bag is the perfect compliment to any outfit! 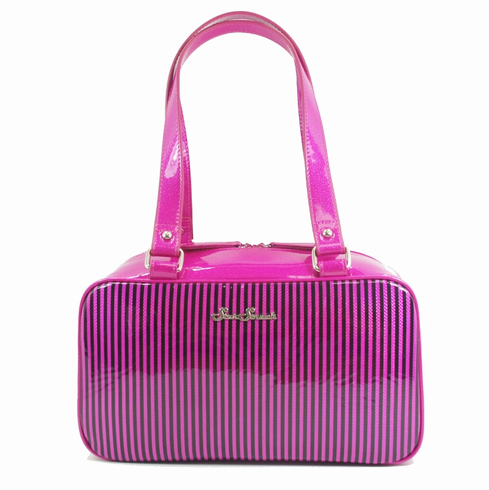 This handbag features double pull zippers and lined with a sturdy cotton. Inside you will find a large slide pocket and a zipper pocket.